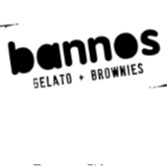 Bannos Brownies joined our Mission to help provide access to “Clean Water for All by 2030”. This Mission was initiated by the United Nations. A big thank you to Bannos Brownies’s team and customers for joining this extremely important mission on 02 May 2018. Gelato is our specialty, we are passionate about making the best gelato. Our gelato is made from scratch. We've learnt to make Gelato with a methodology and philosophy from Florence passed down through 4 generations of gelato makers. We make gelato the traditional way using only real ingredients and fresh fruit that gives our gelato a fabulous flavour and texture. This love of gelato also pours into our gelato cakes which are full of our amazing gelato and look as wonderful as they taste. Our range of gelato cakes will suit all special occasions and they are guaranteed to delight. Our brownies are soft, rich and chocolatey which will satisfy any chocolate craving. They are made with our original recipe using the best real ingredients and quality Belgian chocolate. Being the first brownie store in Australia we boast over 40 different flavours to choose from. Innovation in the kitchen is something we strive for, experimenting with different flavours and recipes has lead us to create the cupcake brownie. A chocolate cupcake filled with Nutella or our salted caramel sauce and topped with butter cream, this creation is sure to please.